One cannot always find great looking strawberries at this time of the year in my neck of the woods. So when I found strawberries that were not dried up and yucky looking I absolutely had to buy some. When I got them home I knew that I would like to bake something with them, but what? Muffins sounded wonderful for breakfast, plus I have never made strawberry muffins before and it’s always a good thing to try something new. I found a recipe that called for cream cheese, which was perfect because I had some in my refrigerator that need to be used. Also cream cheese and strawberries sounded like they would make a yummy combination. The family thought that the muffins turned out amazing and they did make for a nice breakfast. 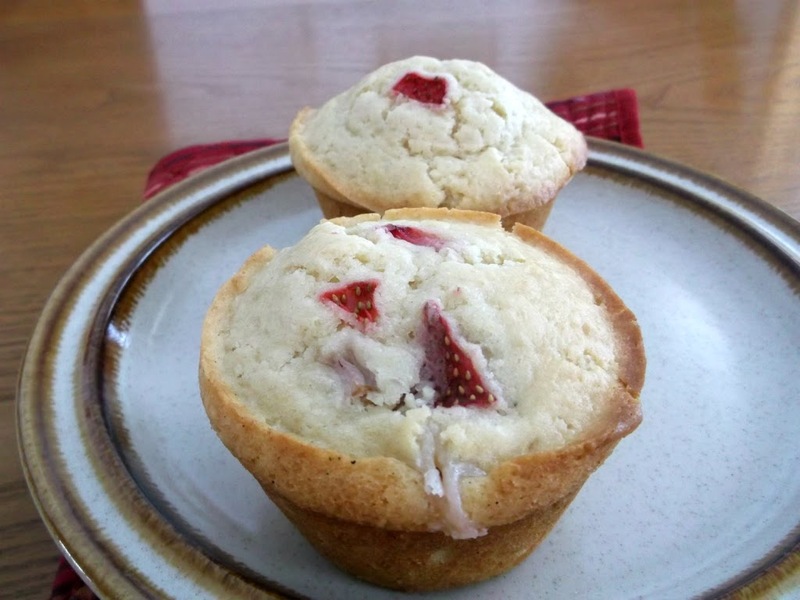 And the cream cheese and the strawberries were a great combination for these muffins. The cream cheese made for a nice moist muffin. 2. To make the cream cheese mixture. Combine cream cheese, sugar, and vanilla extract in a small bowl and mix until ingredients are combined and smooth. 3. Combine both flours, sugar, baking powder, and salt in a large bowl and set aside. 4. Combine milk, melted butter, vanilla extract, and egg in another bowl and whisk until smooth. 5. Mix milk mixture into flour mixture, folding together until just combined. Do not over mix. 6. Spoon 2 scant tablespoons of batter into the prepared tins. Scatter a few pieces of strawberry on top of each one. 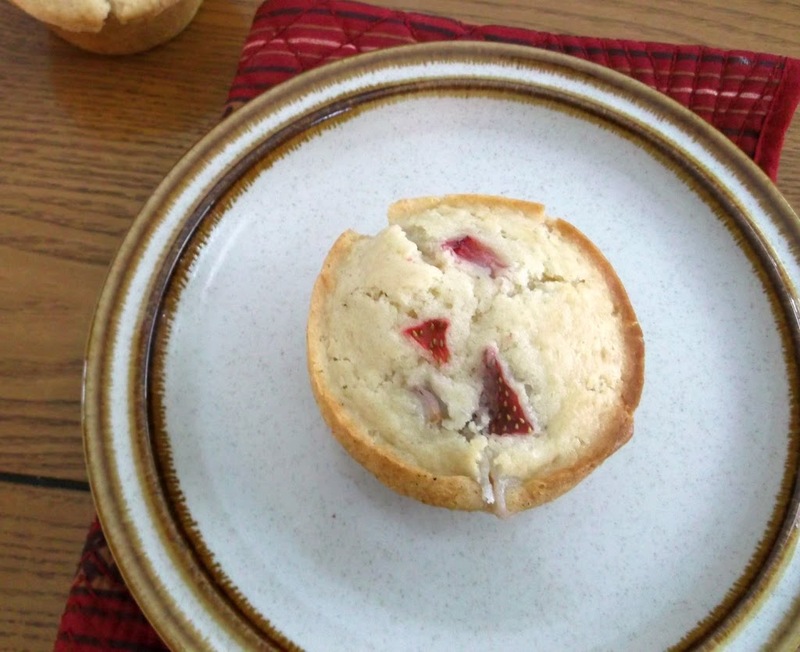 Top with a teaspoon of cream cheese mixture, then cover with 1 to 2 tablespoons of muffin batter and a few more pieces of strawberry. Do not over fill. Muffin cups should be no more than 2/3 full. 7. Bake muffins for about 25 minutes, until they’re a light golden brown on top and a toothpick inserted in center comes out clean. Let muffins cool in the pan for 10 minutes. Yield: 12 to 15 muffins. I bet the cream cheese made these muffins tangy, moist, and extra delicious. Yum! I love strawberries. They’re my favorite! I’ll have to save this recipe for a month or so…when strawberries start showing up at the market! Delectable! Cream cheese and strawberries were made for each other! 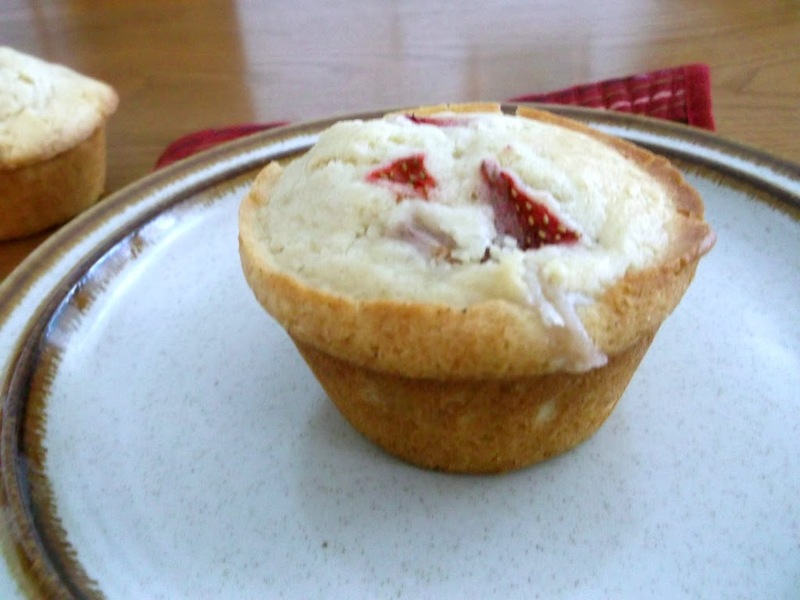 Great looking muffins…like the combination of strawberries and cream cheese…yum! Just recently we’ve been seeing pretty good strawberries in the market. They’d be perfect in this. I don’t believe I’ve ever had a strawberry muffin, and definitely not one with cream cheese. Love that flavor combo! Good stuff – thanks.